In the distant future, a new life form called Houseki (gems) are born. The 28 Houseki must fight against the moon dwellers who want to attack them and turn them into decorations, thus each gem is assigned a role such as a fighter or a medic. 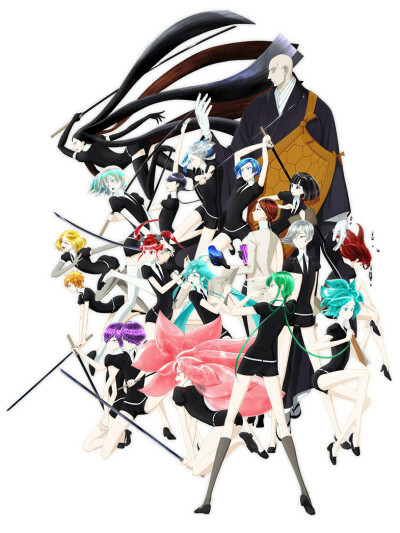 Though he hopes to fight the moon dwellers, Phos is a gem who is given no assignment until the gems' master Adamantine asks him to edit a natural history encyclopedia. The wonderfully colorful series that managed to blow its original source material out of the water.